Our first appearance on TV turned out to be a unique audio nugget from 2008. Despite cameras and no audience, this performance wound up being one of our more consistent recordings of the era. Since Recycled Music Northwest airs at midnight on Saturday evenings, we performed with a chilled-out, late-night-listening vibe in mind. Well-played from beginning to end, this one's a great collection to stare at the ceiling to. Enjoy! And...be sure to check out the videos from this show on YouTube. 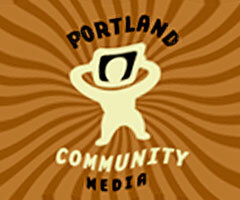 Our friends in Latenight Freakout, connected us with a great opportunity to perform live on Portland Community Media's television program: "Recycled Music Northwest". It was exciting to experience a real TV studio and work with the team there. The audio from both sets turned out well and contains a number of strong versions. We hope to make the video available as well, once we've had a chance to review it and the very trippy imagery the engineers blended in.